I am lucky to have family living in the corner of South West Ireland. To be located close to stunning country-side, mountains and untouched coastlines, is a great privilege and perfect for taking many creative pictures. I took the opportunity to travel from the Netherlands and visit family members, use it as my base and also allow me to explore some more of the fantastic surroundings. I created many images in which a few I will show here in this blog and hopefully inspire you to travel and create as well! The small village of Drimoleague in West Cork, is close to where my family lives. There is the coast and some beautiful villages nearby, like Skibbereen, Baltimore and Bantry which are worth a visit. 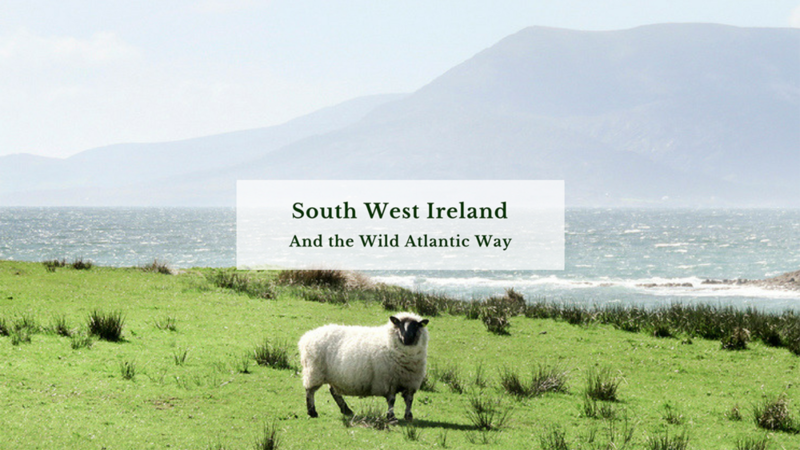 From here, it is great to explore The Sheepâ€™s Head way as well, with its stunning coastline and endless views, and lots of sheep! You canâ€™t avoid sheep in your pictures there, or everywhere in Ireland really, since they are part of the indigenous wildlife to be found all over the landscapes. People often ask me how I see a photo before I actually take it. Most of the time I know exactly the effect I want to capture within the image. I know Lightroom and Photoshop quite well (which are now both part of the Adobe Creative Cloud Photography plan), so most of the time I know how to edit it, to get the result Iâ€™m happy with. Although the way I complete the final edit, is different each time. I also experiment with a variety of edits, which eventually lead me to the result I want. I really like trying out new editing techniques to see what the effect will be like. Sometimes Iâ€™m surprised with the result and also inspired and motivated by what an edit can really do to a picture. If you follow the winding stretch of the road all the way to the end, you will have a fantastic viewpoint, revealing stunning scenery overlooking the big Atlantic Ocean. A cat showed me his playground. I was lucky enough to approach a great solo storm on the way. Since I love storms, I stopped the car to create some great images. You could hear the wind gusting by, and see the current change in the water. Fantastic to witness! By using the gradient adjustment tool in Lightroom, I made the foreground and sea brighter, which created more depth in this picture. Since the glass of my lens was getting wet, I easily managed to get rid of the spots in Photoshop with the spot healing brush. I always make sure I shoot an image wide enough to later crop it to the preferred composition. Working with shortcuts in Lightroom, the most common one I use, is the â€˜Râ€™, for cropping. Also common are the â€˜Fâ€™ for fullscreen, â€˜Gâ€™ for library overview, and â€˜Kâ€™ for processing. Here you will find an overview of shortcuts in Lightroom , which is pretty handy to use. While driving north towards the Sheehy Mountains, donâ€™t forget to make a stop at the tranquil Barley Lake. It is a truly stunning area to take pictures, so much so the opportunities here seem pretty endless. I feel it is also a great place to take a walk and just explore. I could have spent the whole day here, but we had to move on in order to see so much more. A day like this can be quite inspiring. The light continuously changes, and waiting for the right moment is important to create an interesting image. Adding someone to the foreground helps when calculating the proportion of the mountains. I love the contrasting color of her jacket, therefore In Lightroom, I increased the saturation with the color picker to let that stand out even more. On route the little roads wind progressively through some dramatic small tunnels that have been here for many years. Cut out by man, they allow the road to wind on through the mountainous scenery and dramatic cliff sides. These tunnels generally are wide enough to fit two cars side by side, but so often is the case they are narrow enough for just one to pass through. The darkness in tunnels and shadows are difficult to edit when I shoot a jpeg image. Thatâ€™s why I always shoot my images as raw files. Personally, it gives me more scope and opportunities when it comes to processing. I use Adobe Lightroom for this kind of basic editing; using a range of basic slides to achieve an image that enhances the darkest parts. Here, I used the selective adjustment tool to lighten up the darkest areas. I also changed the colors in the tone curve tool. By saturating the green and blues with the sliders I made it look more dramatic. Reaching the summit and the border between the counties of Cork and Kerry, the views over the Shehy Mountains are quite spectacular and as far as the eye can see the landscape seems rugged and unforgiving. The undulating descent takes you through some open sections of grasslands, together with some areas of thick natural woodland. Soon enough I stumble across the small, bustling town of Kenmare, which geographically marks the starting point of the â€˜Ring of Kerryâ€™, therefore it has certainly become a popular stopover for all visitors on the tourist trail. As a photographer I love creating dreamy sceneries in an image and of course (in my opinion), that works even better on a foggy day. I often use the local adjustment brush in Lightroom, to create more depth by making certain areas darker or lighter. After leaving Kenmare the route winds slowly north to the popular destination of Killarney National Park, which is stunning location in every way. The Killarney road is spectacular and has both amazing and dramatic views. On your visit do remember to stop whenever you can and capture some great shots of the fantastic scenery for yourself. You wonâ€™t be disappointed. In the original image, my clouds turned really pink, probably because I used a gradient filter for the sky. In Lightroom, it is easy to turn it back to neutral. The white balance picker tool is quick and simple to do so. Before entering the actual park and of course enjoying all of its natural splendor. I make for a quick stop at Molls Gap, a picturesque, winding pass situated on the N71 route from Kenmare to the popular town of Killarney. The road towards it is fantastic for exploring and driving through. 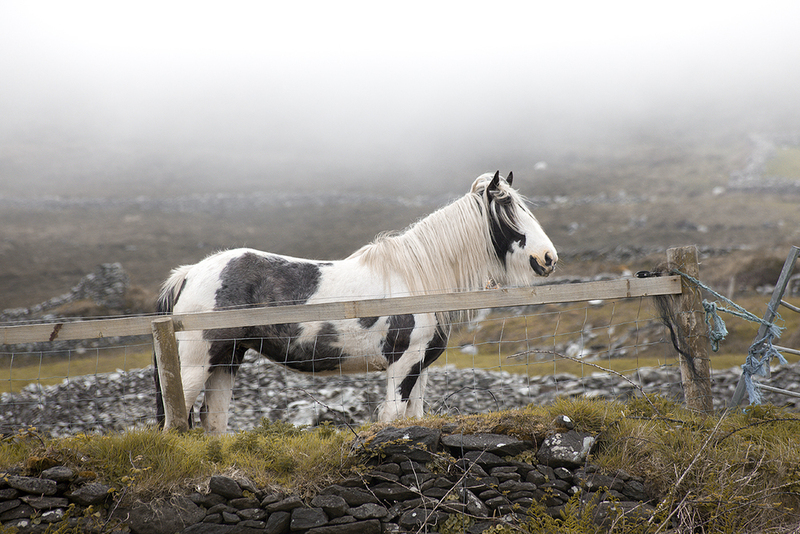 Molls Gap is a panoramic viewing spot that offers great views of the nearby Macgillycuddy Mountains. The rocks at Molls Gap are made from red sandstone and offer a great landscape feature that can be used in capturing the perfect image. Luckily for me, there were sheep to fill this picture by being a great subject. As my journey moves on and I feel so alive and also privileged to have been in such beautiful untouched locations. The relatively traffic free roads allow my concentration to be less focused on the busy commuter traffic of home and more so truly appreciating the stunning nature all around me. My opinion is shared by many others, as this unique drive is regarded as one of the best driving roads in Ireland. Therefore something not to be missed. An area I definitely need to explore more. This blogpost is sponsored by Adobe. If you would like to find out more, check out this link about the Adobe Creative Cloud Photography plan.